The principle document covering emergency lighting is British Standard 5266 Code of Practice for the emergency lighting of premises other than private domestic premises, cinemas and certain other special premises used for entertainment. The code gives recommendations for the indication and illumination of escape routes in the event of failure of the normal supply, and proposes minimum continuous periods of operation of emergency lighting based on size, type and usage of the premises. British Standard BS EN 1838 Lighting Applications – Emergency Lighting also applies. This standard specifies the luminous requirements for emergency lighting systems installed in premises or locations where such systems are required. It is principally applicable to locations where the public or workers have access. Consultation between the owner and or occupier of the premises, the architect, the installation contractor, the electricity authority and any other concerned should be arranged at an early stage. It is also important the requirements of any national and /or local legislation which may apply to the premises in question are fully recognized and discussed at this time. A maintained emergency light fitting is a system in which all emergency lamps are in operation at all times. A non-maintained emergency light is a system in which all emergency lighting lamps are in operation only when the supply to the normal lighting fails. Any emergency lighting system may be design to supply the required load for any desired time. However, for most applications, it is considered that a duration of between 1 and 3 hours should meet all normal requirements. In the Code Practice BS 5266, emergency lighting systems are categorized by the prefix ‘M’ for maintained and ‘NM’ for non-maintained systems, followed by a ‘/’ and the number of hours duration claimed for the installation e.g. M/1 is a maintained 1h duration system. 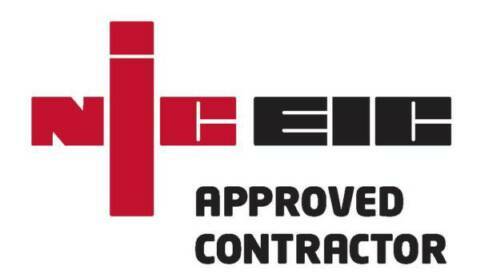 On completing the installation of an emergency lighting system, or part of it, or of a major alteration to an existing installation, an emergency lighting completion certificate should be supplied to the occupier/owner of the premises. A copy of the certificate may be required by the enforcing authority. a) Date of any completion certificate including any certificate relating to alterations. b) Date of each periodic inspection and test certificate. c) Date and brief details of each service, inspection or test carried out. d) Date and brief details of any defects and of remedial action taken. e) Date and brief details of any alterations to the emergency lighting installation.